This week on Vertiguys, it’s a rollicking good time in the Big Easy! 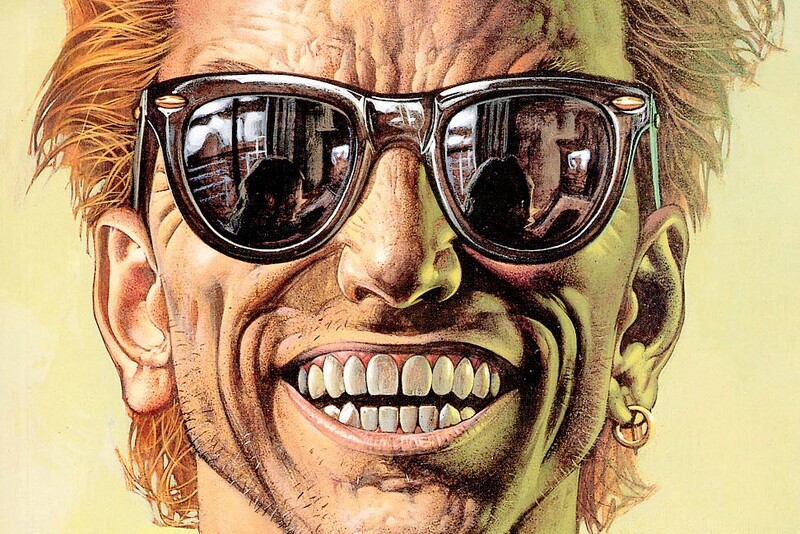 We check out Cassidy’s solo adventure in Preacher Special: Blood and Whiskey. Note: There will be no new episode next week, 2/14. Vertiguys will return with Sandman coverage on 2/21. 1:20 – Sinclair’s colors are a bit more muted than Hollingsworth’s. Appropriate for the goth vibes of the Anne Rice-style New Orleans where Cassidy finds himself, the palate is cool and subdued. 5:22 – Not quite. According to TVTropes, a Batman cold open is a way of opening a superhero comic by showing the hero taking vigilante action against nameless bad guys. The way Sean and I use the term is more like any cold open that’s unrelated to the larger plot and shows what the main character is all about. 6:48 – We covered Cassidy’s origin story in this episode. 8:20 – Actually, Cassidy likes raw steak, as can be seen in Preacher #26. 9:52 – Turbodog is a brown ale produced by the Abita Brewing Company in Abita Springs, Louisiana, and a staple New Orleans drink. 10:51 – Cassidy can be seen in his Batman t-shirt on the cover of Preacher #6. I was actually kidding about this being a crossover… Batman merchandise may exist in the world of Preacher, but Batman himself does not. 13:36 – Without the spiderweb, we might think the pentagram served a purpose. With the spiderweb, we know they drew whatever they thought looked cool. 13:44 – We’re talking about Norm, a character from the NBC bar sitcom Cheers that ran from 1982 to 1993. Norm was known for a running bit where the entire bar would greet him by name when he entered. 16:33 – Shadowrun is a tabletop roleplaying system originally published by FASA in 1989. It features a cyberpunk setting and aesthetic, mixed with fantasy elements including elves, orks, trolls, and dragons. Coincidentally, the digital world of Shadowrun is known in game as the Matrix. 17:10 – Constantine had a note shoved into his mouth in Hellblazer #19, covered here. 21:36 – “They” here means the Enfants du Sang, not Cassidy and Eccarius. 22:15 – The movie we’re referring to here is 2005’s Serenity, a continuation of the sci-fi/western TV show Firefly from Joss Whedon. 22:38 – The Day Before Midnight is a 1989 novel by Stephen Hunter, more famous for his 1993 effort Point of Impact, which was adapted into the film Shooter and subsequent TV show of the same name. A page-turning thriller, it fits with Cassidy’s earlier stated preference for Elmore Leonard. 26:31 – Neil Gaiman has in fact written about vampires. At least there’s his short story “Snow, Glass, Apples.” Also the undead parental figure Silas from The Graveyard Book is implied to be a vampire. Let us know if you think of any others. 27:24 – For more on redneck vampires, you may want to check out the Image Comics series Redneck, written by Donny Cates with art by Lisandro Estherren and Dee Cunniffe. It tells the story of a whole family of southern vampires trying and failing to coexist with humans in rural Texas. 29:29 – Without realizing it, I was doing an impression of the Looney Tunes character Count Blood Count, who I know by way of his appearance in the Gorillaz song “Dracula” from their 2001 self-titled debut record. 31:15 – Highlander also had a recent comic book miniseries, Highlander: The American Dream from IDW, written by Brian Ruckley and drawded by Andrea Mutti. I highly recommend it. 45:40 – Perhaps Effigy was building to the reveal that the TV show was based on its creator’s spiritual beliefs and carried traces of mystical power as a result. If so, this is a pretty topical idea, since a couple of major comic creators have described their work in exactly that way.